Don't know the model or seating config though. Yes typical, they look like very basic equipment models to rent Fear for the WORST after BREXIT" !!! 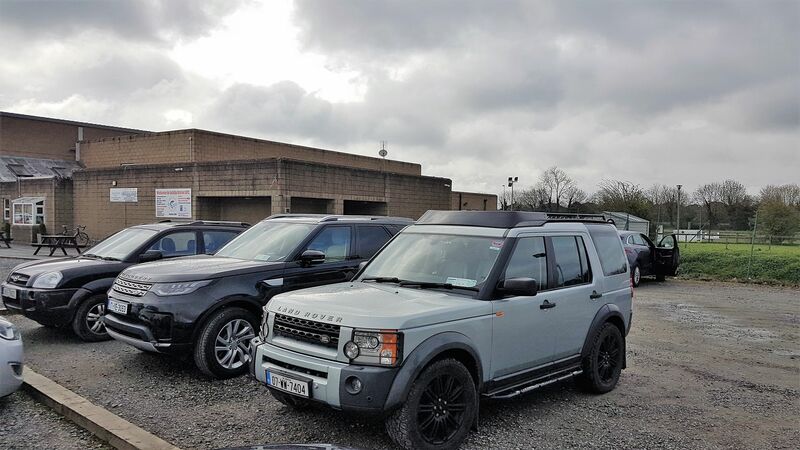 Introducing the new 2 seat Discovery Commercial (Ireland)! Interesting to note that the side windows do not appear to be blanked out.......?? Looks like a good job done on the conversion. On a side note, I finally got see a couple D5's in the flesh for the first time at a dealers & took a spin in one yesterday. I think it's going to be very colour dependent, there was a Corris grey one & back end with the offset number plate look truly horrendous. Whereas the black one I took a spin in, didn't seem to look too bad. With regard to the drive, it had the lower HP 2.0lt engine & it was just woeful Like an under powered tractor, I felt it was barely able to move the D5 & I'd hate to have a trailer behind is all I'll say. The car itself..... a good big hefty machine, loads of room inside, but certainly has lost a lot of the "Swiss Army knife of vehicles" that previous Discos were & is certainly pitched as more of a luxury people mover, than workhorse. The flap at the boot is just a joke I feel, of no use whatsoever & would be an annoyance in real life. Rather than appease the loss of the split tailgate, I think they just should have made the move to a full tailgate & not bothered with the flap. Overall, while it is a certainly a nice vehicle, I didn't come away from it thinking "oh yes I might make moves to go back to Disco ownership again" I was left feeling very "Meh" about it. But my opinion could of course be coloured by that awful, under powered engine in the one I drove. I've been driving Land Rovers since the early 90's. In that time I've had 200 & 300Tdi Discos, two D3's, two RRS's & until recently a D4. But I think with the new D5, Land Rover have lost me. However what I did come away from yesterday at the dealers with is that if I were to go back to Land Rover ownership, that it would be for a RRS, which I also took a drive in & absolutely loved, so I could see myself going back down that road sometime in the future. Re: Introducing the new 2 seat Discovery Commercial (Ireland)! At €51K including VAT of 23%, it is not bad value when compared to the upper end models! Looks interesting, but I wonder if that's just a mockup of a two seater? In some of the pics on the add the rear seats are visible. Also the floor looks as if it slopes up a lot towards the front. But at least it's heading towards a commercial being available. I did wonder this when I saw it this morning, wondered if someone had been handy with Photoshop.... 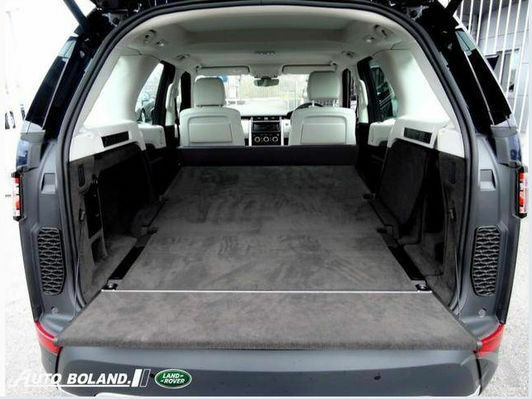 But that looks like a half-height bulkhead of some sort, and I guess the floor under where the seats are on the five seat model (from which this has obviously been converted) may not be level either, in the first instance. My understanding is that these conversions are happening at OHM HQ at Baldonnel, Dublin. It's just on the N7 Naas Road as you approach the CityWest Bridge inbound. "As to why the windows are not covered over, maybe the regulations have once again changed?? Who knows?? The regs have changed loads of times over here, during the Discovery Commercial years!!!!" I'm assuming this vehicle shown has the 2.0 litre Ingenium the same as the regular passenger one. You may know as you are from Ireland - are vehicles capacities derated when they are commercials in Ireland ? Flat floor shown must have storage beneath ? Would you go for one ? It's the TD4 engine as opposed to the UK base SD4, hence the discrepancy.